hit sally's after work. I had planned on only getting 3 polishes but then I saw a couple on sale for 1.99 and said to myself "why not"
I bought Emerald Fitzgerald,Blue Sparrow,Ruby Pumps,Lubu Heels, Midnight Mission. I am debating doing my nails tomorrow for saturday. I am going to my Aunt's in Michigan for the day. It's Pumpkin Day. We are going to hang out then go to the pumpkin patch down the street from her house. So maybe I will paint my nails for the occasion. I just painted my toes yesterday. I used sinful colors fiji and I did a little nail art flower on them (just a little one off to the side and i used white for the center then used silver glitter for the petals). 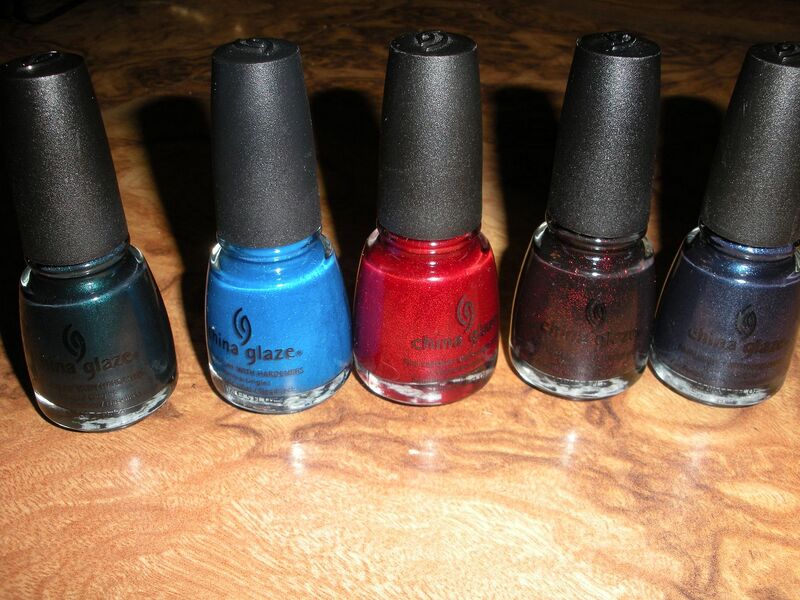 I did also buy a sally girl nail polish for chloee. I got her the glow in the dark polish. figured why not it's a fun polish for a kid.